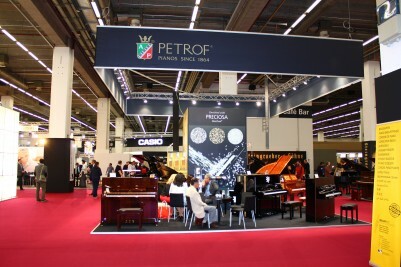 From 7 to 10 April 2016, traditional fair Musikmesse took place in Frankfurt am Main, this year again with PETROF. 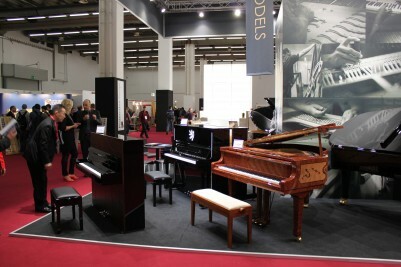 A few important exhibitors were missing this year, but official data says there were still more than 110.000 visitors. 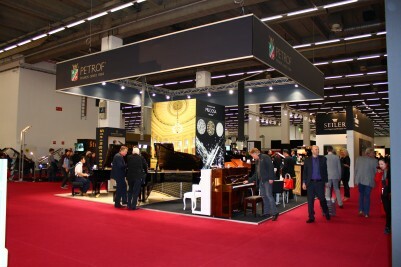 PETROF stall in the ground floor of hall 9 was one of the most visited in our field. 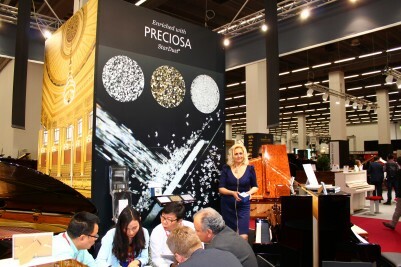 Our stall could be accessed from all sides which was meant to demonstrate our openness to costumers. 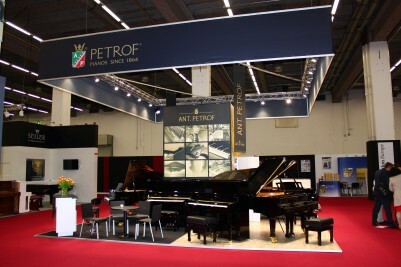 PETROF has long been one of the major innovators in the piano manufacturing industry. And we proved it once again. 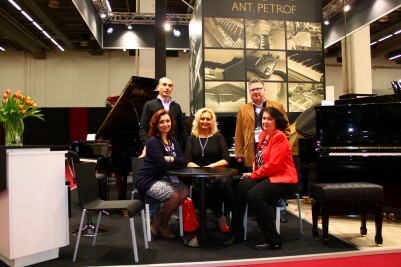 The professionals in the field had the first opportunity to see the complete family of the premium brand ANT.PETROF pianos with their own eyes. TheAP 225 enjoyed the biggest popularity thanks to its sonority and colourfulness. But there was something for the design lovers too. We introduced the P159 Bora Madrona made with the intarsia technique and P 125 G1 with a crystal lion on the top frame. 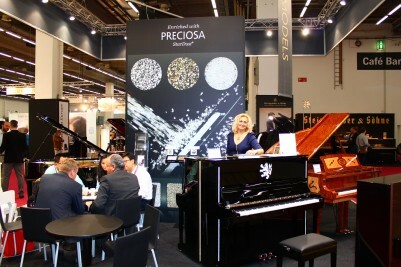 This instrument, made in cooperation with the PRECIOSA brand, was without a doubt the most photographed piano of the whole exhibition. 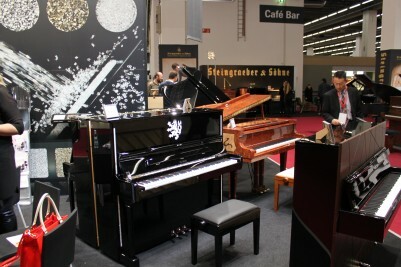 Another successful model was the new upright piano P125 K1 – the whole first manufactured series was sold immediately. 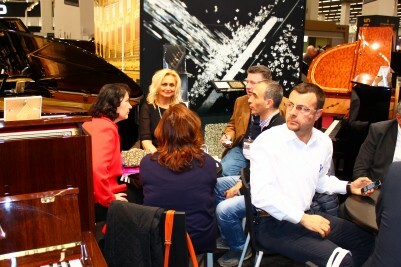 Apart of our traditional visitors we also noticed approximately 20 % visits of a new dealers and distributors. 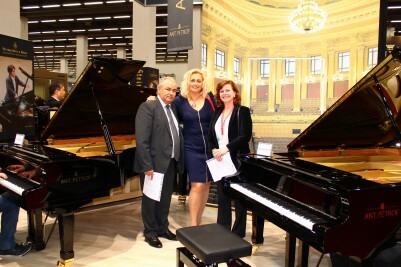 It is such a positive phenomenon for the future and shows a big interest in our pianos. 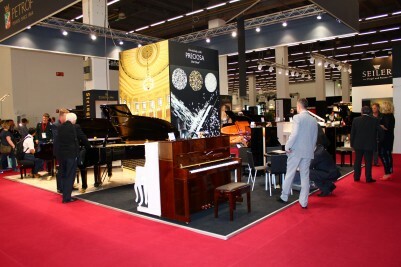 The most appreciated features of our instruments are their finish and the romantic, rounded tone. 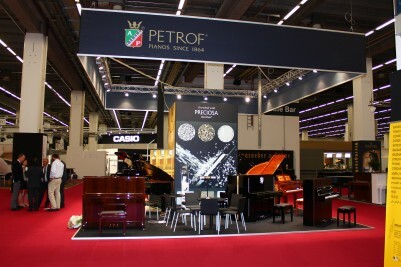 And the same goes for the long tradition of the family company PETROF and our personal, helpful approach.